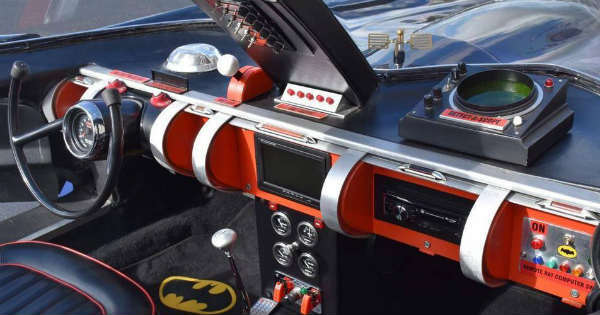 You Will Be Shocked By The Price Of This Batmobile Replica! Even though having the original is always the best, there are times when you simply cannot afford it. Even if you can, the owner might not sell it at all. This is usually the case with some famous movie cars, so people often come up with ingenious solutions. Namely, they create some incredible replicas that portray the real car almost perfectly. Because of this we decided to take a look at this stunning Batmobile replica that is now for sale. Besides its ingenious design and features, this car might shock with its price as well. Even though the original Batmobile was sold at an auction couple of years ago for whooping $4.6 million, this car is way, way cheaper. So, if you don`t want to spend millions on a Batmobile, this is the car for you. All you need is $300,000! Yes, this car can be yours for just $300,000. The guys from Ideal Classic Cars in Venice, Florida are selling this monster. But, be aware that there are only four such replicas ever made. The original mold has been used to make these four cars, so it cannot get any closer to the original. Some of the most iconic car designer names from the 50s and 60s designed the look of this car. If you are willing to own a Batmobile replica that is just too good, this is your only chance. It is guaranteed to draw attention whenever it goes and everyone would stop by to take a photo of it. But it is not just the look of this car that makes it so good. The ride is pleasant as well. Also, the car is faster than you might think. In fact, it is a Batmobile after all! Before you leave, make sure to follow this link and take a look at the original Batmobile!